The Glamorous Life of a Housewife: Momma's Boy. On the way home from our ultrasound the other evening, Husby and I were going on and on about our son. We were talking about all the fun things Husby wants to teach him and do with him, and things took a turn when I opened my mouth. Me: He's going to be such a little momma's boy! Husby: Um, no he isn't. Husby: No you're not. That's a little fancy. We don't want a fancy boy. Momma's boys are fancy. Me: He won't be fancy. He'll be precious. Me: Can he be a momma's boy until he's 5? I giggled to myself slyly and said, "Okay, Husby...whatever you say!" as I rubbed my hands together and gave him a devilish grin. AND THESE!! Oh. My. Word. 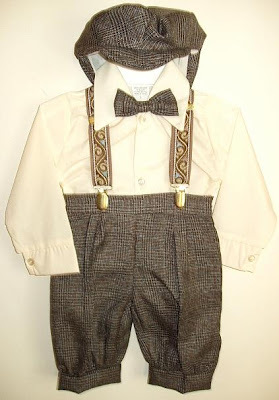 Aw, he'll be a little English Gent! Yes, these are the plans I have in mind for my Lovie. I want to teach him how to open doors for ladies, how to say please and thank you and how to be a true and perfect gentleman. When I got to work the next morning, there was an e-mail sitting in my inbox from Husby. I think we're both going to need to learn a little thing called "compromise". 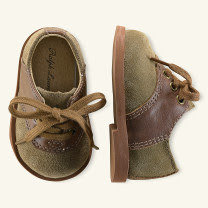 I love love love the RL baby collection... and those shoes! i die!!! ;) you're a blessed mama! congratulations! i'm sure he'll be adorable and a perfect gentleman! I've been reading your blog for sometime and just felt the need to write and say hi. i look forward to your posts and i'm extremely happy for you and your husby! CONGRATULATIONS on finding out you're having a gorgeous litle boy!! How amazing that you felt you were having a boy all along. Those little outfits are just TOO cute!!! I LOVE all of the clothing you have shown and those shoes, how adorable. I literally laughed out loud about the outfit hubby sent you - haha - I am sure you guys will come to a compromise. I am just loving hearing about all of this. It makes me anxious to have a little one of my own... Thanks for sharing. Oh, I love babies, especially first babies! All the new things are so exciting and it is fun to watch people turn into parents. On the "fancy" note, our son is a good combination of Momma's boy and tough little man. He loves to dress like his daddy. He tells me every Sunday that he wants to wear something "handsome." You really can have it both ways! 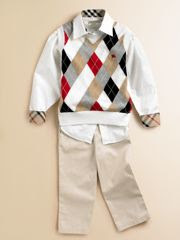 I bet your son will be the same, and I have never seen Husby looking like a gangster or sloppy or anything like that! Little boys really are so sweet...Congratulations! I am sure there is a middle ground for the two of you. Maybe you can compromise this way: Daddy picks out the clothes for play time and Mommy picks out the going somewhere clothes. Sounds fair to me. Your going to have so much fun shopping for your little baby boy...oh the joys of raising boys...so FUN! Oh, that made me laugh...English Gent to Air Jordan is quite a leap! I fully support the knickers set!! (so there mr. hubsy!) Infact I half three sets sitting in a box waiting for us to have a boy. . . .Only my husband likes them too. I think the polo shirts are totally a good compromise though! That baby jordan outfit is cracking me up. What is all over the body? spider webs, lightning, idk? But of course I love all the baby RL clothes. So sweet! You guys are going to be hilarious to watch once this baby is here. i LOVE those outfits! he is going to be the most handsome man on the block! I heard this saying once....Camo by day, Polo by night thats a true southern gentleman! WEll how bout jordans by day, loafers by night for baby lovie!!!! Ha..I tagged u! i am literally laughing out loud right now. How exciting - I love looking at baby clothes. My sis is pregnant with a boy, and some of those outfits are too cute! Omigosh. I am cracking up, You guys are so funny! And I can totally see this exact convo in my future. I LOVE the things you have in mind for baby Lovie. SO CUTE! Are you going to share your name, or are you going to do the Internet-ish thing of referring to him as only a letter (like "C")? Yeah, Husby will come around eventually. I think all little boys are "mama's boys" when they're small. Diva Husband (grudgingly) acknowledged this when The Manimal was born. Congratulations on your little blessing! That is soooo cute! I love all those outfits! Well, yours better than your husby's of course! 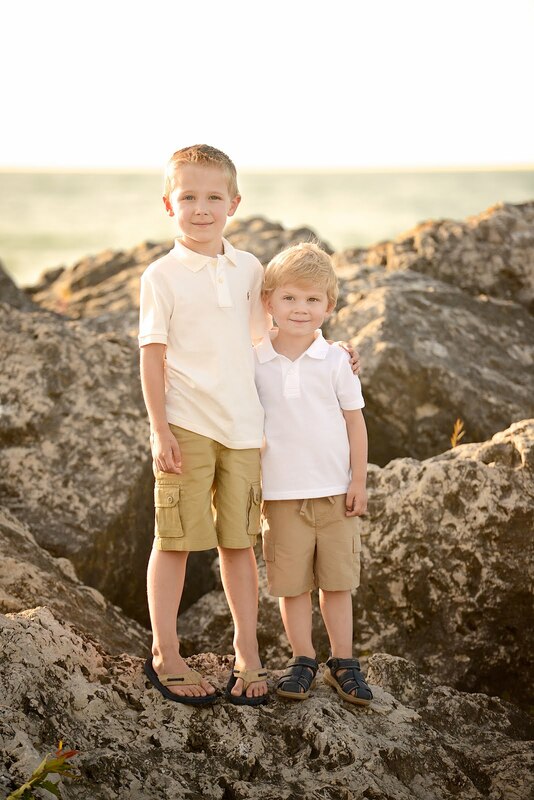 My husband's family is full of boys so I am destined to have all boys. But I was a ballerina in my earlier years and have always wanted to decorate my baby's room with Ballerinas! I told my hubster that even if we do have all boys, at least ONE of their rooms is going to be decked out with Ballerinas. Men can be dancers too you know! He didn't go for that! BTW Come on over and enter my Christman giveaway, I'd love for you to win! I'm excited! 10 more days til' I find out! And lil' Man can have a sporty day. That's what husby and I have planned. Saturday HE gets up early with Gooner (and puts the baby in a sports onesey) and I sleep in! Oh my you are both too funny! I say you buy him an adorable suit for Easter and Hubby can't say anything....however he gets to go out and buy him his pair of Air Jordan's that he can rock on with in his crib LOL! My weakness is and was the children's Place!!! Oh MY! I have a whole bunch of those Ralph Lauren rompers. Love them! I also have stuff with sports logos, guitars, and skulls. Baby can have different "personalities" ha ha! CONGRATULATIONS! I know you are sooo excited. Boys are great. I have two of them and by the way they are both momma's boys and neither one is fancy. The only thing about momma's boys are when they grow up it hurts so much to let them go even a little bit, but I suppose it's that way regardless of gender. Again congrats and the clothes are just too cute. Congrats! It's all about the healthy blend of preppy boy and sporty boy! HA, Russell and I were just having this discussion about you and Darin and your little boy last night--so funny that you posted the exact same thing the next day! ;) He will be a cutie, that's for sure. How exciting!!! Those little shoes are the cutest things EVER!!! YAY!!!! I just received my prize and I love it. It is my new favorite scent for the season!! Oh my! You guys sound as far apart in your ideas for that child as Brian and I do for our unborn children. I can't wait to see y'all raise that handsome boy! Congrats! Those are some super cute outfits! Just remember that Ralph Lauren runs small. CONGRATULATIONS! You quoted my very favorite verse from Ephesians 3:20. GOD always does so many immeasureably mores for His children. 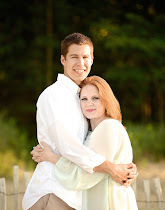 I can hardly wait to see your precious little one and all of you as you celebrate his arrival in a few quick moments. Congrats and GOD BLESS your sweet baby boy! My hubbie made me promise not to make our daughter into a girlie girl when we found out- she currently wears pink 4-5 times a week- oopsies! OH MY GOODNESS! Those little shoes are the cutest things I have ever seen!!! 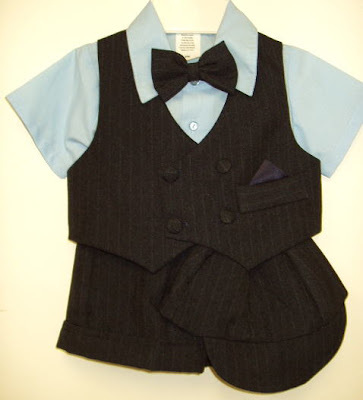 When we decide to start trying, I definitely want a baby boy. Their clothes are just darling! Love it!!! Glad I stumbled across your blog! 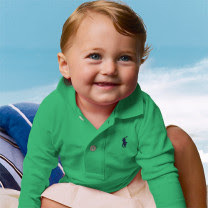 those Ralph Lauren baby clothes are sooo cute! Great taste sweetie, great taste! I had to fight with the woman to use that backdrop.. she was like, it's not for children. I don't care, it's what I want! And it took me forever to find knee socks that I liked to go with! We also have some little brown saddle shoes like that! Do you have a Marshall's there? I think that's where I always saw the "my first Levi's".. iddy biddy!